B.Sc. 1st Semester Physics Experiments, B.Sc. 1st Semester Physics Experiments, B.Sc. 3rd Semester Physics Experiments, B.Sc. 4th Semester Physics Experiments, Physics Experiments, B.Sc. 5th Semester Physics Experiments, B.Sc. 6th Semester Physics Experiments. Keeping the track of latest happening in this domain, we manufacture and supply the best quality of Hysteresis Loop Tracer. 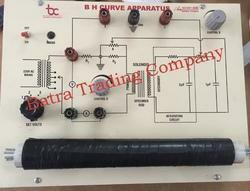 By using CRO B-H curve & hysteresis loop, the offered apparatus is used to study Lissajous curves & figures. 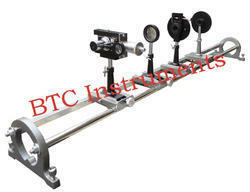 Besides this, the offered BH curve apparatus/hysteresis loop tracer is available with us at cost effective prices. 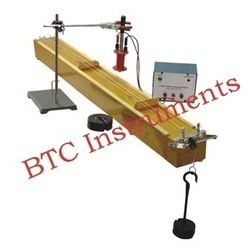 We offer high quality Kit for Single Slit Laser to our valuable patrons. 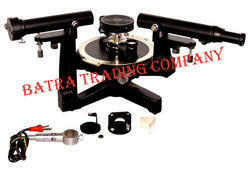 By using advanced machinery, we manufacture the offered kit as per the industry laid norms and regulations. Being a quality focused name, the quality of the offered kit is never compromised at our end. 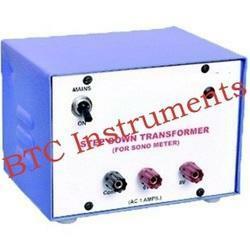 Due to our years of experience of this domain, we offer the best quality of Frequency Response LR Circuit. Manufactured as per the industry laid norms, the offered frequency response of LR circuit kit is easy to set up and maintain. 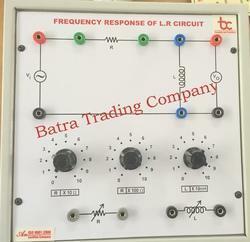 Motivated to attain maximum customer approval, we deliver the offered frequency response of LR circuit kit is delivered within the assured time frame. 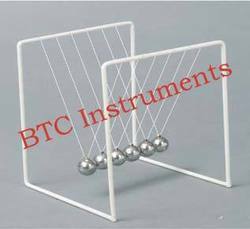 We are Manufacturing All Transfomers for Physics Lab apparatus under Our Brand name BTC instruments. Model Transformers: Nicely demonstrated on base. Input and output leads brought out on terminals on bakelite panel. Model Transformers: Same as above but with step up voltage. Model Transformers: Step Up/Down combined. Demonstration Transformers : Fitted on board with one mains coil of 220 volt and two interchangeable secondary coils giving 6 and 12 voltsA.C. 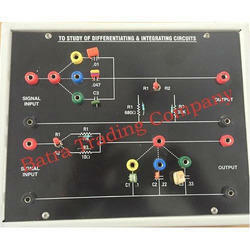 at 2 amps.Assembly & interchanging of coils can be done easily. Input and out-put leads brought out on terminals. Step Down Transformers: For lowA.C. output voltage requirements in laboratories. Housed in Steel Cabinet. (a) 2-4-6 volts : at 2 amps.A.C. (b) 2-4-6-8-10-12 volts : at 1 amps.A.C. (c) 2-4-6-8-10-12 volts : at 2 amps.A.C. (d) 2-4-6-8-10-12 volts : at 3 amps.A.C. (e) 2-4-6-8-10-12 volts : at 5 amps.A.C. (f) 2-4-6-12-18-24 volts : at 2 amps.A.C. (g) 2-4-6-12-18-24 volts : at 3 amps.A.C. (h) 2-4-6-12....30 volts insteps of 2 volts : at 2 amps.A.C. Step Down Transformers: For Electromagnet & sonometer Experiments 0-6-8 volts at 1Amp.A.C. Sodium Vapour Lamp Transformers: Housed in steel Cabinet withAuto leak type transformer giving 440 volts initially which reduces automatically when the lamp is excited. c. the reciprocal of the length of the string. The usual sonometer is horizontal, like the one below at Kenyon College, and the tension is supplied by the weight of the masses hung on the ends of the wires after they pass over the pulleys. This arrangement has the defect that the strings and bridge cannot be seen by the class. Being a leader of this domain, we offer Kits for performing various Spectrometer Experiments. Used for the purpose of determining the refractive index, depressive power of various material of prism, the offered kit for spectrometer is easy to use. Besides this, the offered kits for spectrometer experiments are available with us at cost effective prices. Exp-1 To determine the refractive index of the material of prism using sodium light. Exp-2 To determine the dispersion power of a prism. Exp-3 To determine the resolving power of the prism. Exp-4 To determine the wavelength of sodium light using a plane diffraction grating. Exp-5 To determine the resolving power of a plane diffraction grating. Exp-6 To verify Cauchy's equation (Mercury light source required). 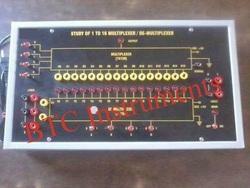 Computer Logic Training Board has been designed specifically for the study of 4 line to 16 line Decoder, 1 to 16 demultiplexer and its application as sequencer. This Training Board gives a better understanding of decoding 4 lines to 16 lines. It also explains the phenomena of Demultiplexing with one input signal and sixteen outputs using four control signals. It gives an idea to sequence among a number of states. The board is absolutely self contained and requires no other apparatus. Practical experience on this board carries great educative value for Science and Engineering Students. 01. To demonstrate the operation of a 1 line to 16 line demultiplexer. 02. To demonstrate the operation of 4 line to 16 line decoder. 03. To demonstrate how 4 line to 16 line decoder can be used to sequence among any number of states, between one and fifteen. (This is called a programmable sequencer with 4 binary inputs and 16 outputs). 01. +5VD.C. at 200mA, IC regulated power supply internally connected. 02. 1 to 16 Decoder/Demultiplexer IC. 03. LEDs (22 No’s) for visual indication of status. 04. SPDT (6 No’s) switches for logic selection. 05. Adequate no. of other Electronic Components. 06. Mains ON/OFF switch, Fuse and Jewel light. The unit is operative on 230V ±10% at 50Hz A.C. Mains. Good Quality, reliable terminal/sockets are provided at appropriate places on panel for connections/ observation of waveforms. Strongly supported by detailed Operating Instructions, giving details of Object, Theory, Design procedures, Report Suggestions and Book References. About 20cm. in dia and 45mm. 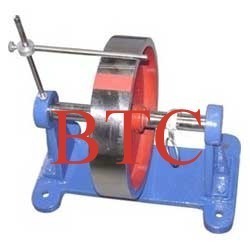 wide turned and carefully balanced, mounted on a horizontal shaft, held in ball bearings.The wheel is marked and pointer is fixed to the bracket.The bracket has four holes and can be fixed to the wall. Looking for BSC Lab Instruments ?